Please consider voting for this story on Wattpad by creating an account. Lots of other good stories over there. Authors get recognition when you follow and vote! To those who sail the seas are known the Currents of Gaili. In the days of old, a sorcerer set sail to explore the world. But he was an impatient man and the journeys were too long for him. The sorcerer called Gaili summoned forth powerful winds with a wave of his hand to speed his journey. To this day they still roam the oceans, speeding ships on their way. Sheala burst into the back room of the Red Moose. After sprinting for nearly a mile, she leaned heavily in the doorway as she tried to catch her breath. 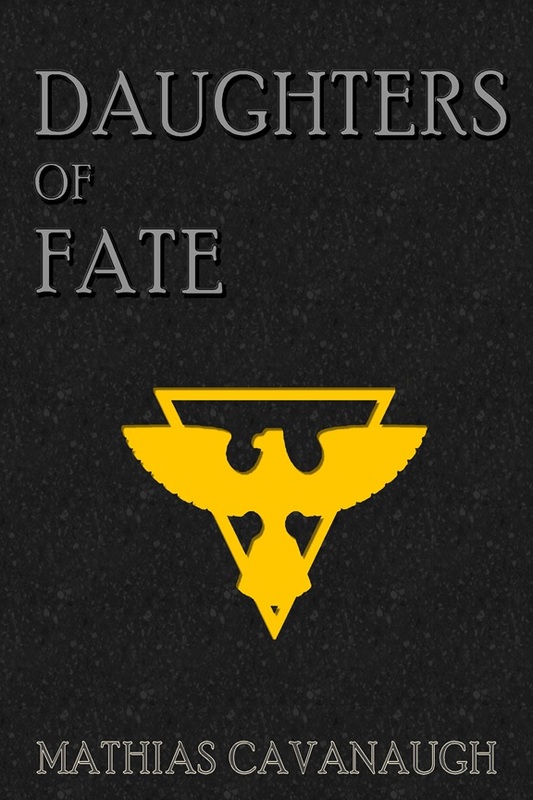 So, as most of you know, in addition to posting chapters of Daughters of Fate here, I am also serializing it on Wattpad. I just wanted to give those of you who read this blog and don’t use Wattpad an update as to how well it is doing over there. Wattpad maintains “Hot Lists”. How frequently these are updated, I don’t know. But I do know that they appear to have updated today. And Daughters of Fate is high on so many lists! And Descist took the form of the serpent and seduced the angel in the Garden of Earoni. Her soul would be forever his. For once the darkest god is allowed in to one’s heart, one can never escape him. “Sub-general Nightwing?” The voice cut through the haze of Cassandra’s thoughts, and she bolted upright in the saddle with a start. The sky was nearly dark. Cassandra looked about to regain her senses. One of the soldiers in the troop was riding alongside her, and it was his voice that had infringed upon her weariness. The winter winds grew less hospitable as the sky faded from day. A dim light on the roadside ahead caught her attention. “I’m fine,” she grumbled. The eyes of the Seer do not always see the way. The mouth of the Oracle does not always speak the truth. Reane was helped over the deck by one of her crew in the warming mid-afternoon air. Several of other crew members scampered onto the deck at the call of the watchman and stood at attention. Reane waved them off and dismissed them. It was now unusually warm for winter and Reane’s heavy winter cloak had become a bit uncomfortable. As she nearly tripped over a stray board of lumber, her eyes couldn’t help but notice the scattered debris still about on the deck.